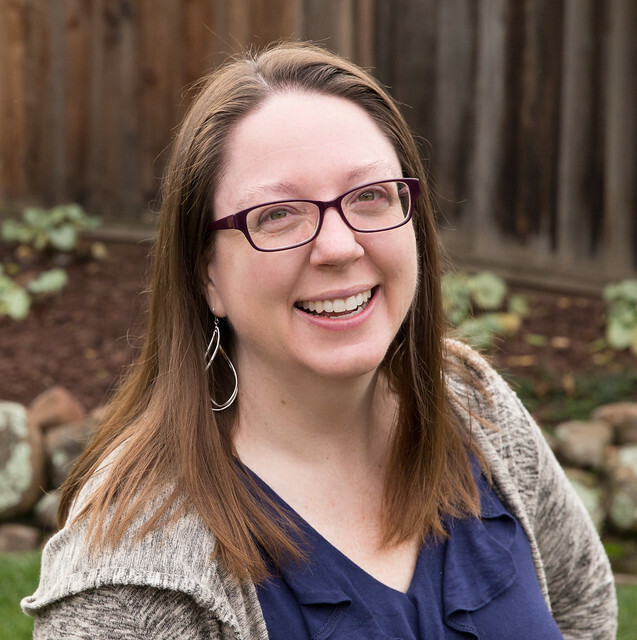 Welcome to my stop on the Turnabout Patchwork Book Tour Blog Hop! I made up the quick and easy Sun Dunes pattern from the Quarter Snowball Block section of the book. I liked the look of solids that Teresa used in the illustration of Sun Dunes in the book and ordered Kona Ash for my background. In the end, I opted to use the remnants from Woven Waves: Kona Lime, Grass Green, Glacier, Ruby, and Watermelon. This quilt went together very quickly. It has so much potential for different looks with solids, prints, a variety of background colors... the possibilities are endless! And it wasn't super fussy about points lining up. If constructed in rows, you'd only need to focus on the points of the triangles matching. I opted to leave off the border, so my quilt top finished at 36 1/2" x 45 1/2". I love that the negative space in the background gives is a modern look and leaves a lot of room for interesting quilting. Overall, Turnabout Patchwork is a beginner friendly book with a variety of interesting twists on common quilt blocks. 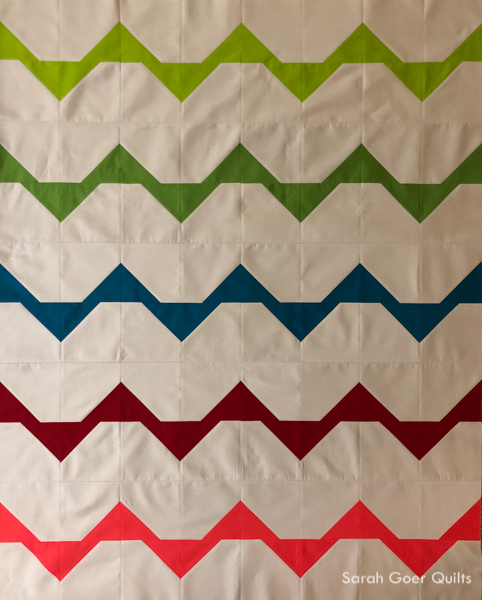 Each of six chapters shows step-by-step photos of how to make the block and an initial pattern featuring the block, followed by two or three illustrated patterns using some variation of block layout or fabric placement within the block. Numerous quilts are modern in design with expansive negative space. Turnabout Patchwork is available on Amazon. GIVEAWAY GIVEAWAY HAS ENDED. 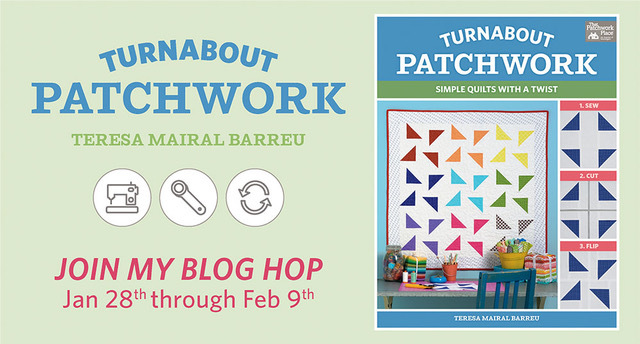 For your chance to win an eBook copy of Turnabout Patchwork enter with Rafflecopter below by leaving a comment on this blog post and tell me how you would change up the Sun Dunes pattern if you were going to make it and/or by being a newsletter subscriber. Not a newsletter subscriber yet? Subscribe here, click to confirm your subscription in the email that comes to you. At the end of the giveaway I will email the randomly selected winner and they will have 48 hours to reply to claim their prize or I will select a new winner. The eBook will be emailed to the winner. Turnabout Patchwork author Teresa Mairal Barreu can be found at her blog Sewn Up. Posted in Quilting. 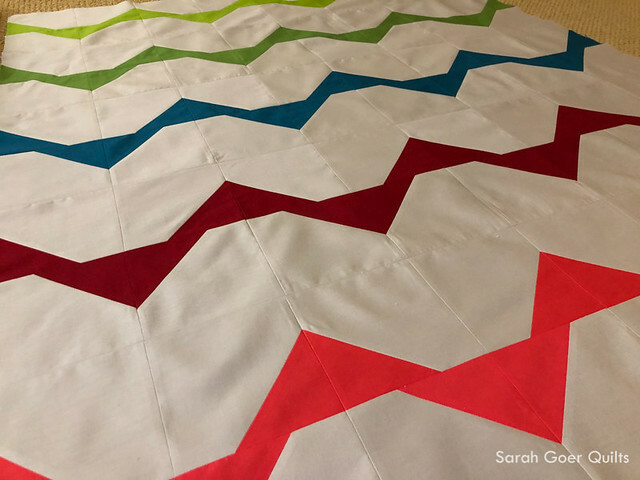 Tags: blog hop, quilt books, sew with solids, Turnabout Patchwork on January 30, 2019 by sarah.